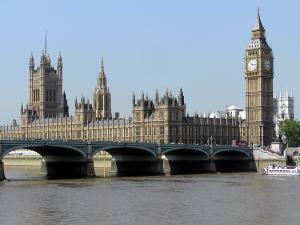 The vast majority of MPs have little to no understanding of the motor trade industry, a new survey has revealed. The study by the Institute of the Motor Industry (IMI) found that of the 99 MPs questioned, more than half thought the automotive world was low-skilled, low-paid and dirty, showing an ignorance of the sector. While many acknowledged its importance in providing jobs in the UK, many displayed a clichéd view of car dealerships and garages. The IMI is urging politicians to dispel the outdated view of the motor trade industry as being men in oil-covered overalls. Indeed, in this vast and varied sector there are a great deal of different businesses offering different services, and this is why expert brokers such as ChoiceQuote help source the right motor trade insurance policy that meets a company’s specific needs. Commenting on the organisation’s findings, the chief executive of the Institute of the Motor Industry, Steve Nash, said: “There is a terrible confusion in Parliament about the people in our industry. They understand that large numbers of hard-working people make their living in it, and that 35 million vehicle owners depend on them to keep them on the road.